Anna Jaques Hospital proudly opened Haverhill Medical Offices in the fall of 2017 – a 30,000 square foot, state-of-the-art medical office building at 600 Primrose Street in Haverhill, MA. The medical office destination offers Women’s Health Care, Children’s Health Care, Pentucket Medical Associates, Seacoast Surgery, Gerrish Breast Care Center, AJH Laboratory Services, Atlantic Vein Institute, and AJH Sleep Lab. Anna Jaques has been serving patients since 1884 in the Newburyport area. This medical office improves their reach and helps them offer more comprehensive and wide ranging service. To learn more, visit www.ajh.org/haverhill. 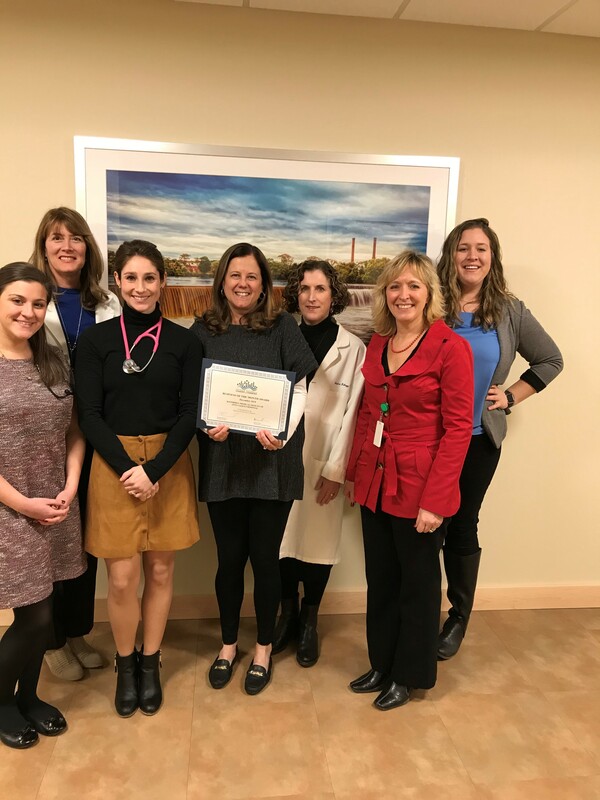 L to R: Nicole DiLando, CPNP, Children’s Health Care; Dr. Mary Baker-Berzansky, FACOG, Women’s Health Care; Angelina Comei, CPNP, and Jane Sokol of Children’s Health Care; Patrice Kellogg, WHNP, MSN, Women’s Health Care; Rhonda LeMaitre, Women’s Health Care Practice Manager; and Hillary Rogers, Greater Haverhill Chamber of Commerce.